Every Season is Great For Tea! @ 4 Seasons Tea - Westminster - EAT WITH HOP! Nice comfy seats. However, not that many seats in general. Maybe good for like 4 to 5 groups or so? 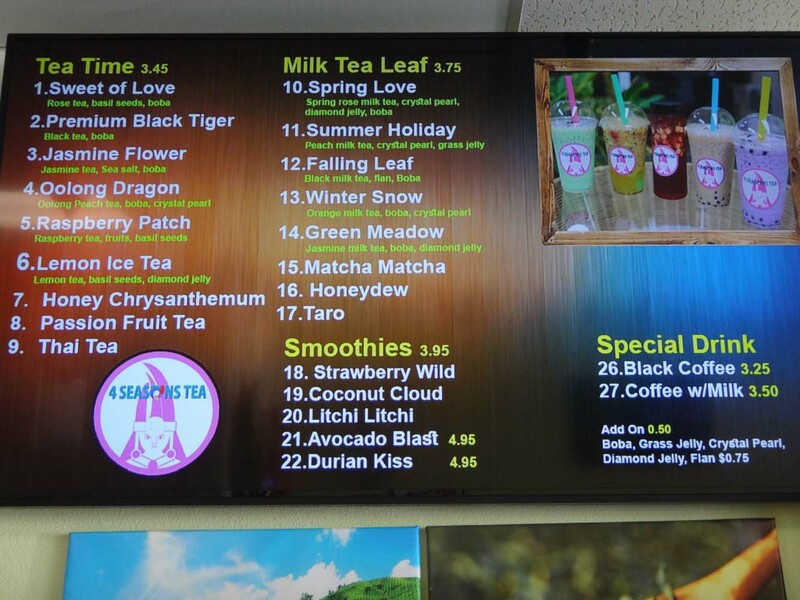 Here is a photo of the menu at 4 Seasons Tea. Number 12 is the most popular, called "Falling Leaf" and is made with black milk tea, flan and boba! 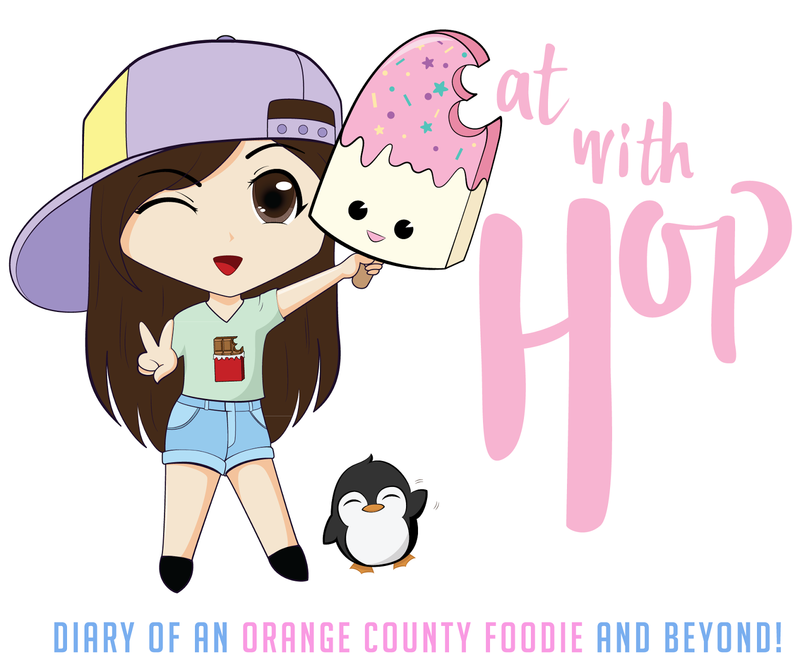 Kevin and I checked out this new boba shop in town. I feel like there are so many opening left and right, how do all these places stay in business? 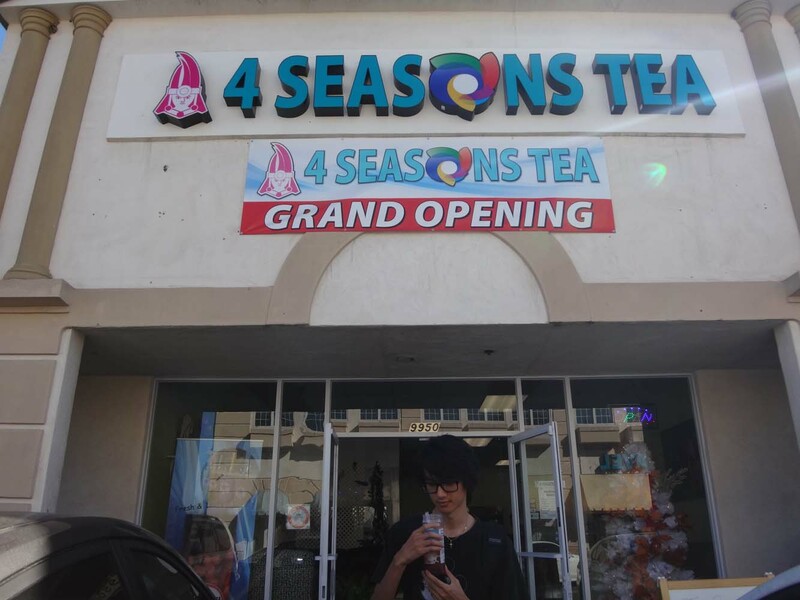 Anyway, 4 Seasons Tea has been poppin` up on my FB newsfeed. Good job FB ads. I initially wasn't interested in going here. Not one bit. I thought, oh it's just another boba shop and the drinks look pretty regular. Oh, and they are in on the take-home bottle trend with the labels. I'll pass. Well, since we often study at coffee / tea shops, we wanted to see if this place was study-able and also try their drinks. The owners were super friendly though. They gave us samples of some of the drinks to help us decide since it was our first time. 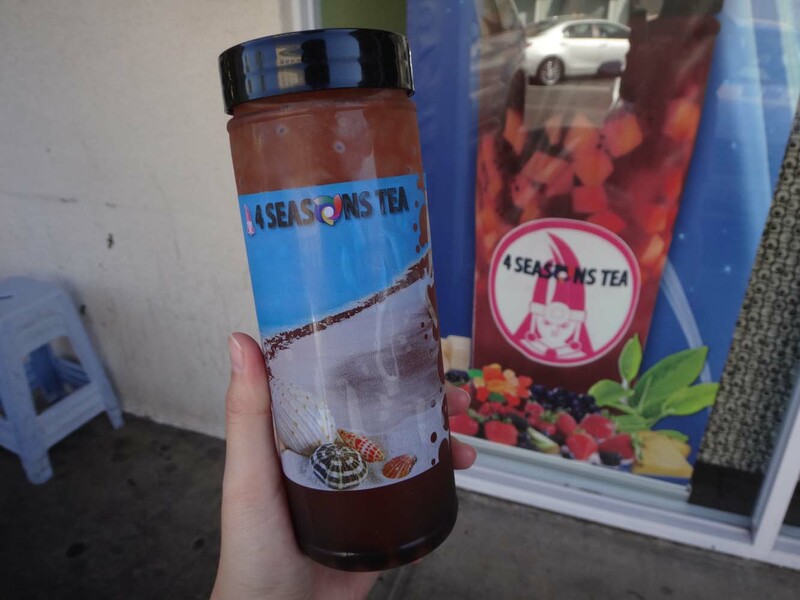 We sampled mostly the milk teas and my favorite was the Spring Love (rose milk tea) and Falling Leaf (black milk tea). The others were good but didn't stand out or anything compared to all the other boba shops. Overall, I wasn't much of a fan of their drinks so we just got one drink to-go which was the Sweet of Love (Rose Tea). 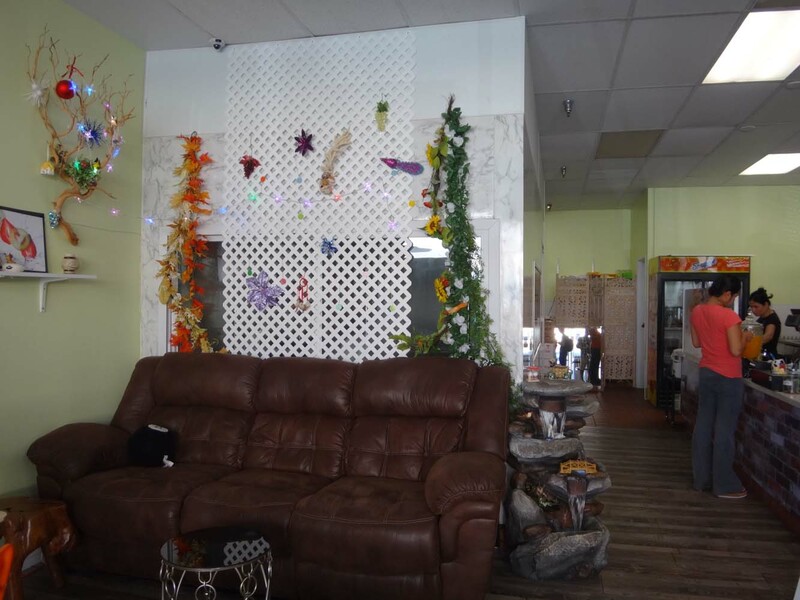 This place claims to use all loose-leaf teas and no artificial anything. I don't doubt that but the drinks did tasted very syrup-y which confused me. And that's why I wasn't a fan of their drinks. The drinks were also too sweet but maybe you can request them to tone down the sugar. There was a constant flow of customers so that was good for them! I just think this place isn't for me. 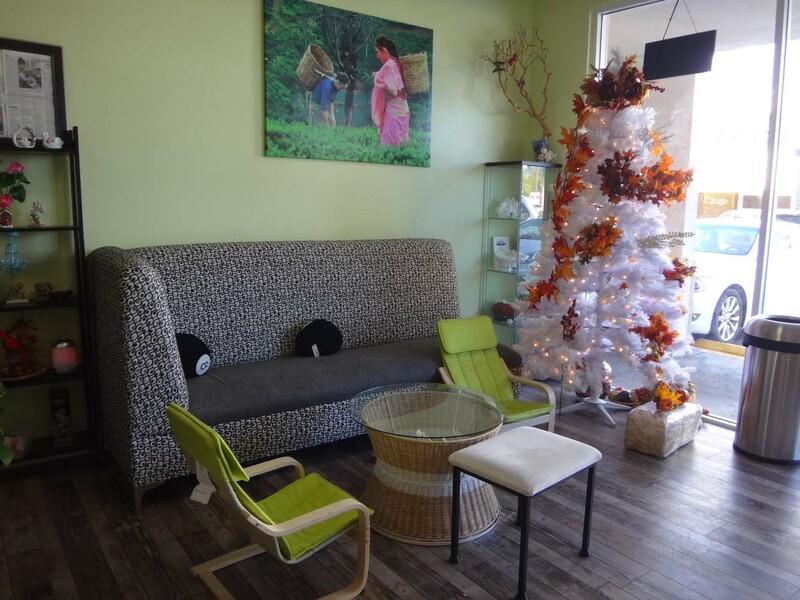 It seems like the older crowd of Viet people come here which is great because they need a hip boba place to hang too! I read their article in the newspaper about how 4 Seasons Tea is opened by this husband and wife that strive to give back to the community. So a lot of the profit is donated to charity. I think this is a great gesture! But that's probably the only reason why I would ever go back to 4 Seasons tea, to "donate" to charity. the husband and wife that owns this place are friendly and they give samples! 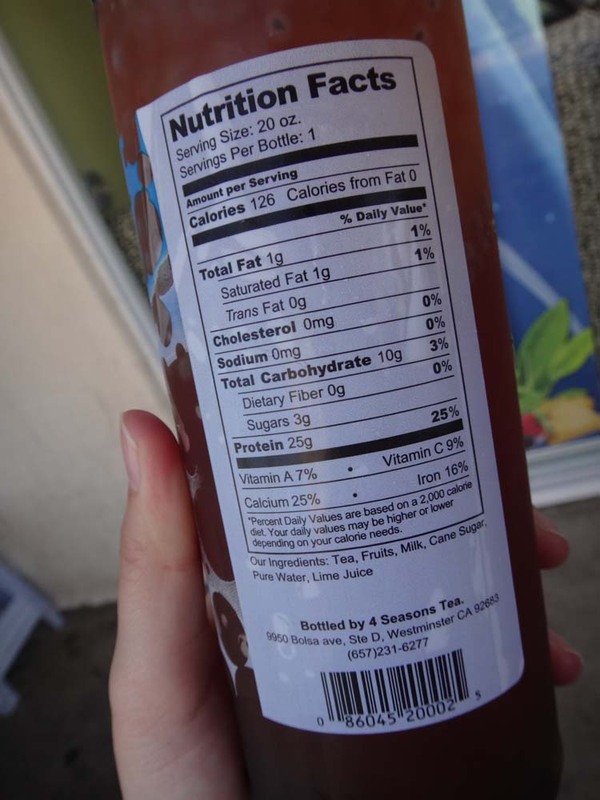 comes in your own bottle with a unique label! tastes very syrup-y but they claim to not use powders or anything and use loose-leaf teas. drinks already include add-ons in the price and menu.